Gutters are basically long channels that sit along the lower edge of the roof. They designed to capture all the water that hits the roof when it rains or melts after a snow. The gutter installations for your home is angled slightly too direct water to the downspouts, which allow the water to fall to the ground in a controlled manner. The end of the downspouts is curved to ensure the water is deposited away from the home foundations. If the gutter got clogged or damaged it will cause major problems for your home, here are few ways to protect the gutter from all damages. Homeowners should take care on the gutter maintenance process. The Proper gutter maintenance will leads to long-lasting gutter and free from clogging of leaves. When gutter clog the water spills over the side, it often lands on flowerbeds, small trees or shrubs that surround the base of the home. The clogged gutters will start to leak and leads to immediate replacement. In order to avoid damage or replacement of gutter, the proper maintenance is needed at least twice a year. If the birds have built nests in the gutter system a back-up of standing water can occur, bringing weight, sagging, and damage to the entire system, the part of the structure is attached to your siding and foundation. The trapped, overflowing water can serve as a breeding ground for pest like mosquitoes and other insects. There are specially designed gutter guards to prevent from birds, leaves and debris. Most of the homeowners will clean the gutter perfectly and doesn’t care about downspouts, the downspouts is the main part of the gutter which provides the way to flow of water to the ground, If the downspouts get clogged it will leads to overflow of water and cause damages to the gutter as well. So during inspection check out the rivets on the downspout, frequently they’ll be loose or will have dropped out completely, all that is needed to keep the downspouts and gutter clean. If the gutter with so many rust and dust gets clogged, the high pressure cleaner is one of the ways to keep the gutter cleaner. A pressure washer won’t hurt the gutters provided you’ve secured the gutters with screws or new spikes. The real key is to avoid hitting the gutters at too high an angle or you’ll blow the shingles off with a high-pressure stream of water. 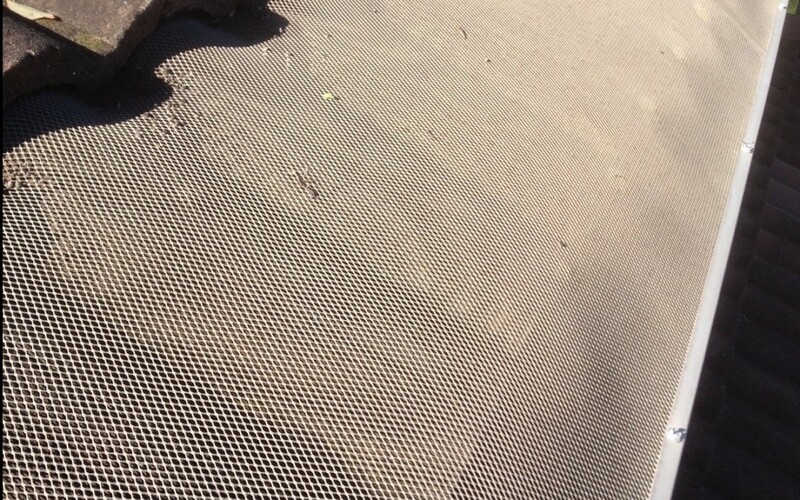 There are also gutter protection products available such as covers, screens and inserts. While they won’t completely remove the maintenance factor, they can significantly reduce the chances of a blockage for some kinds of emergency situation. The gutter guards are available for every type of gutters that provides major security for the gutter to prevent from clogging of leaves in spring and fall. There are many types of gutter guards available with different sizes. By selecting the best gutter guards for the home provides the safety for your gutters by allowing only water into the gutter that goes through the downspouts, a gutter guard’s main purpose is to save time and money over the long run of gutters. Homeowners can choose the gutter providing Service Company to install the gutter or replace their old gutter. The Legend General Services has highly trained staff to provide residential and commercial High Pressure Cleaning, Gutter Replacement, Roof Restoration, Cleaning and Maintenance Services in Sydney and Wollongong. Contact us now 1300 109 021.